The season that Jordan Spieth and Rory McIlroy have had – winning three tournaments between them and recording seven and ten top-10 finishes respectively – would have looked impressive for the majority of golfers. However, such is the talent of the two stars, and the level of expectations they create, failure to win this week’s PGA Championship will be seen as a season to forget. If they win a handful of PGA or European Tour titles, that’s kind of expected. No big deal really. But ever since McIlroy won back-toback majors in 2014 and Spieth replicated that effort last year, they have transcended themselves to a level where their success is calculated by how well they do in the four majors. 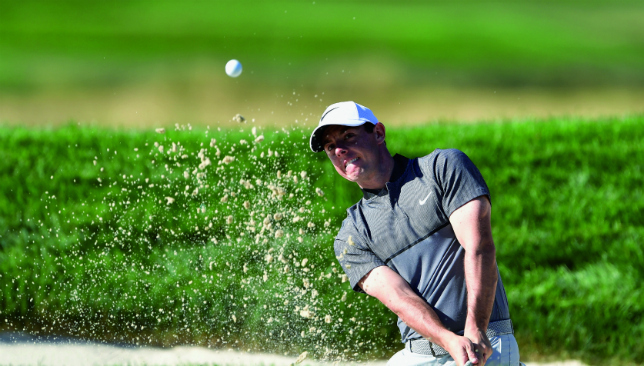 This year, McIlroy has top-10s in the Masters and the Open Championship, but has missed the cut in the US Open. Spieth, after that spectacular collapse during the final round of the Masters, struggled to get a sub-par round until the Sunday at Royal Troon. And both players admitted as much at Baltusrol. McIlroy said a win on Sunday would elevate his season from a B minus to an A plus, while Spieth believes he has not improved much as a player since 2015 and this is his opportunity to show he is making progress. The PGA Championship used a tag-line ‘Glory’s last shot’ until a couple of years ago, and this is proving to be the case exactly with the world No3 and No4. Neither player is taking part in the Olympics, so they cannot even think of a gold medal to brighten up their season. Yes, the FedEx Cup remains and both players are in contention, but that really is more money than honour. Winning the Ryder Cup would be nice, but being part of a team event is a completely different feeling to bagging a major. World No1 Jason Day is also in a similar position, winless in a major this season, and yet he did win the Players, a World Golf Championship, and the Arnold Palmer Invitational at Bay Hill, three of the strongest non-major events during the year. The relatively small greens at Baltusrol will suit someone like Spieth given his phenomenal short game, but he did not have the best Open championship with his putter. McIlroy, on the other hand, is most comfortable in the PGA Championship. The course set-up and conditions suit his game to a tee, and the proof of that is only once has he finished outside the top-20 in the tournament in seven starts. And yet, it will be extremely difficult for the duo to get their hands on the massive Wanamaker Trophy. The reason for that is the exceptional form being shown by players like Dustin Johnson and Henrik Stenson. There are several interesting storylines at Baltusrol this week, but the one involving Spieth and McIlroy is the most compelling one to follow. 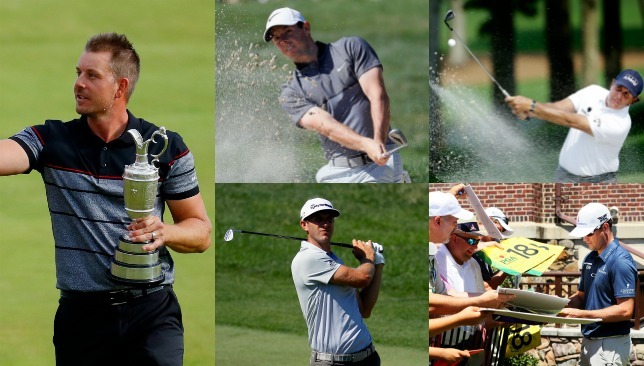 Among others, there is the possibility of a first-time major winner taking the glory in all four events this year. The two best players not to have won a major, after Stenson departed that group less than a fortnight ago, are Sergio Garcia and Lee Westwood. One can perhaps also include Rickie Fowler in that group now. And of course, there is Phil Mickleson, the perennial favourite of the American fans. It would be interesting to see how he gets over his Open heartache this week. Sport360's five to watch in New Jersey. 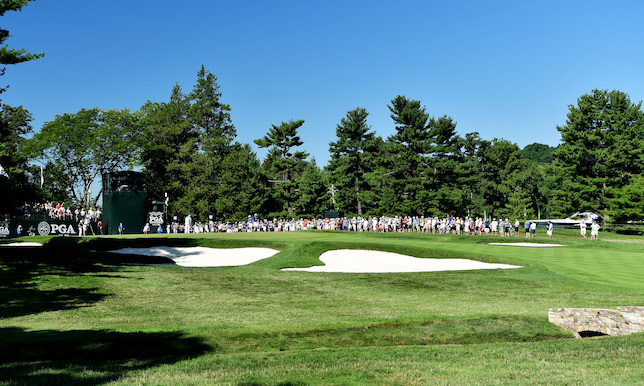 Who will reign at the Baltusrol Golf Club in Springfield, New Jersey, this weekend? The last major of the year arrives fresh off the back of the British Open, with the event, typically held in mid-August, being brought forward because of the Rio 2016 Olympics. Who do you think will win? Let us know your thoughts, get in touch using #360fans on Twitter and Facebook. An obvious choice given his stunning victory in the Open, but Stenson would have been worthy of inclusion on the basis of his previous record in the event. Four of the 40-year-old Swede’s top seven finishes in majors (before Troon) had come in the US PGA, including third places in 2013 and 2014. The only question is whether the world No5 can carry the momentum from the Open with him across the Atlantic, or whether his heroics will catch up with him during a busy spell. Another easy option considering his 17-under-par total at Troon, including a major equalling 63 in the first round and a flawless 65 on Sunday, would have won 140 of the 145 Open Championships ever staged. However, Mickelson also earns his place because of past performances, most notably his victory the last time Baltusrol staged the event in 2005. The 46-year-old left-hander has returned to the golf course several times to use his status as an honorary member. Not only is the two-time PGA champion (2012 and 2014) super-motivated to finish the season on a high, he is also in decent form as his tied fifth finish at The Open showed despite facing the worst of conditions the first three days. More importantly, the Northern Irishman seems to love the conditions at the PGA Championships, having finished outside the top-20 only once in his seven career starts. His driving gives him a huge advantage on most courses and Baltusrol is no exception. Really, all he needs is for his putter to behave for four rounds. US Open champion Johnson hit 71 per cent of fairways and 72 per cent of greens in regulation at Troon, but was undone by two costly double bogeys in round two and a triple bogey in the third. The world No2 dropped five shots on the 11th hole alone and still finished inside the top 10 to continue his superbly consistent form in 2016. His power will also be a major advantage on the closing stretch which features a 230-yard par three and back-to-back par fives measuring 650 and 553 yards. Finding players who did well at Baltusrol in 2005 and are still competing at the highest level is not easy, but two-time major winner Johnson (who finished 17th) fits the profile. Although he has not tasted victory since lifting the Claret Jug at St Andrews last year, Johnson has quietly been compiling a series of good finishes this season, including eighth in the US Open, 10th in the WGC-Bridgestone Invitational and 12th in the Open, where a poor third round denied him a top-five finish. When I started my career as a golf journalist, two golf courses immediately caught my attention. No, they were not the usual suspects – Old Course at St Andrews and Augusta National. Rather, I was intrigued by the names Baltusrol and Crooked Stick. Baltusrol, the host venue of this week’s PGA Championship was where the 1993 US Open was played and won by Lee Janzen, while Crooked Stick became part of golfing folklore when John Daly won the 1991 PGA Championship there in the most sensational fashion. What is Baltusrol supposed to mean, I wondered? As it turned out, the name is inspired by Baltus Roll, a farmer who was murdered by a couple of petty thieves near the area in 1831. The case was the talking point of New Jersey for many years. Crooked Stick was about to be named ‘The Golf Club of Indianapolis’ when the group of people ivolved with it had an inspired moment. One of the directors recalled how architect Pete Dye came across a gangly stick while inspecting the site, and used it like a golf club on some stones. And voila! Crooked Stick was the chosen name. Origins of golf course names is a fascinating subject for me. In most cases, the owners would play safe and stick to tried and tested ones. Obviously, in the days when Britain ruled the world and a course received Royal patronage, they were left with no choice but to adhere to ‘Royal + Name of City + Golf Club’ formula. And hence, Royal Melbourne GC, Royal Calcutta GC, Royal Troon GC, Royal Liverpool GC etc. There are 62 of them across the globe. Another golf course name that fascinated me was Cape Kidnappers, the out-of-this-world course set on the sheer cliffs of Hawkes Bay area in New Zealand. Obviously, it is based on the name of the area, which was coined by Captain Cook and his men on HMS Endeavour, when a boat full of Maori men came from the area and tried to kidnap Captain Cook’s cook. Crooked Stick led me to find out about Crooked Cat Golf Club at Orange County National in Florida. The golf course derived its name from the fact which none of the 18 fairways are straight and each of them are dogleg holes. Shadow Creek in Nevada is another unlikely name for a course. Before the golf course was made, there as absolutely no shadow in the area. When inaugurated, it was the most expensive golf course ever built. Architect Tom Fazio actually transformed a desert into a lush green landscape. From zero trees, 21,000 matured trees were planted and man-made lakes created. While in Melbourne last year for the Cricket World Cup, I came across another unforgettable name for a golf course – Growling Frog Golf Club. I thought the name was funny, until I found out that it is based on a native Growling Grass Frog, which is found in abundance on the golf course. Like Baltusrol, there are other golf clubs whose names have been inspired by a gory past. Hell’s Point Golf Club, in Virginia, has the Hell’s Point Creek running across the course. No one really knows why the creek was named so, but there are two stories – in 1800s, the creek was supposed to be infested with poisonous snakes, and two, several ruins of capsized slave boats were discovered at the mouth of the creek. Fossil Trace in Colorado, and Furnace Creek in California are also interesting. Fossil Trace actually has preserved footprints of dinosaurs on the back nine of the course, while Furnace Creek is shut down in summers because temperatures reach in excess of 50 degree Celsius. To end with, here’s my recent favourite – the Kissing Camels course, which is part of the Garden of Gods club in Colorado Springs. It is named after a famous rock formation next to the course that resembles two camels kissing each other. Miller’s off the mark Johnny Miller’s latest criticism of Rory McIlroy is really a most laughable one. During the final round of the Open Championship, the 69-year-old Miller showed his old-school mentality in golf and decided McIlroy’s tight shirts were the reason behind his dip in form (if it can be called that after 10 top-10s in 15 starts!). McIlroy has restrained himself from getting back at the American, but he has absolutely no doubt his golf has benefited immensely from the training. All his four majors came after he started doing weight training, and it also helped him get over the back pains he felt in 2011. As for the tight tee shirts, they are the in thing and manufacturers prefer to call them ‘performance’ wear. They actually spend millions of dollars every year in R&D to develop this compression clothing, which have benefited athletes.